Located in an eco-reserve just a 15 minute drive from the beautiful colonial city of Granada. 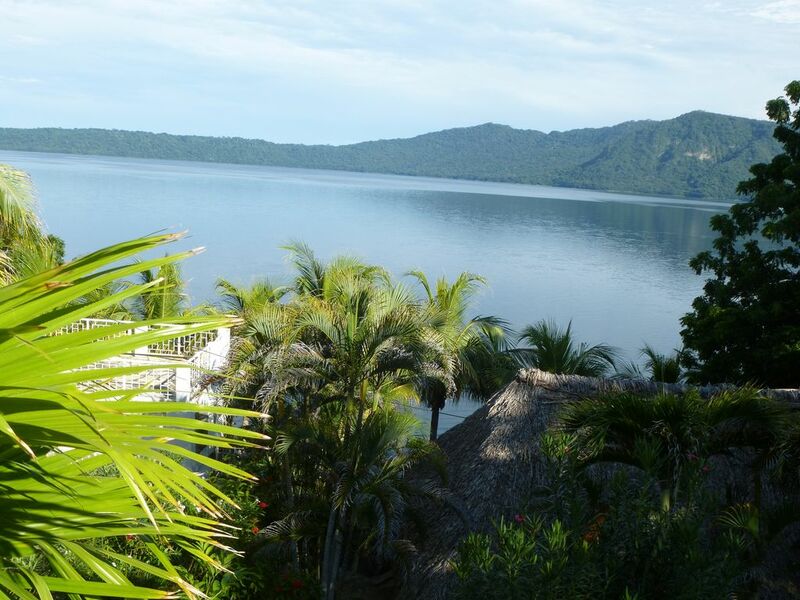 This property looks upon Laguna de Apoyo, a warm, clean crater lake and is surrounded by a lush tropical forest with monkeys and a variety of birds. Two large patios offer a perfect place to relax and read a book, enjoy a siesta in the hammock or simply relax. As well there is an open air (covered) rancho lakeside for your use Four bedrooms and 2 bathrooms, kitchen and large living space makes this home an ideal retreat. Two of the bedrooms are equipped with king size beds, 1 queen size beds and one has 3 single beds. Ideal for a family or couples vacationing together. Several restaurants and pulperias located nearby. Kayak and paddleboard rental can be arranged (fee) . A lovely, quiet location with a constant breeze to keep the warm weather under control. Vulcan heated lake water. Easy to find but very private. Caregivers are kind and considered, management always ready to please and beyond. We only got to stay a couple of nights but our family loved it! The view is amazing so we really enjoyed the open air design. Loved swimming in the lake and finding the hot spring. Really impressed with how well the kitchen was stocked, we had everything we needed to cook. So glad that your family enjoyed Alchemy .. and the beautiful setting ... it IS a perfect place for a family to spend time together .. swimming and relaxing away from it all!!! !